The Week In Geek is our round-up of this week's best under-the-radar tech stories—the stuff we laughed at, were amazed by, and nerded out about. Mice get the Inception treatment. The biggest question you had about Inception was that goddamn spinning top. Right? Well, not any more. Instead of hot, hot movie-stars, it's mice who are now having false memories implanted into their minds. Researchers used light — light! — to convince mice they'd been given electric shocks. They absolutely hadn't. Please no-one tell the NSA about this. Disney is creating a machine that lets you touch animated characters. For reasons unknown (so far...) Disney has unveiled a brand new technology called "Aireal." A small camera-like machine projects a holograph — lets say of a butterfly — and, at the same time, it sends out puffs of air that feels like said butterfly is sitting on your palm, walking up your arm, and so on. It's not actually the air that causes the sensation: it's the interaction of the air and the "vortex", which is simultaneously being produced by the Aireal machine. Got that? Basically, by the time Finding Nemo 3 comes out, new technology will make sure you feel like you're, uh, sitting in the middle of a patch of seaweed. Or something. On Tuesday, Apple CEO Tim Cook teased that the company would soon introduce “some amazing new products." Er, great, but what would those be? And when? Best guesses include: cheap iPhone models, a new kind of television, and/or smartwatches. (Other tidbits from the rumor round-up includes the fact that Apple once nearly made an iCar.) According to Cook, these will begin coming out in the fall, and continue throughout 2014. The use of DNA swabs to solve crimes is sophisticated and effective... or not? DNA matches are problematic: the technology is riddled with potential for human error like accidentally mixing swabs, confusing test results, or — more rarely — having similar DNA to another person. The problem is, when a person's DNA matches that on evidence, it's generally assumed that they're automatically the culprit. This undermines the entire criminal justice system, according to this op-ed. Artists pull their stuff from Pandora and Spotify, citing lack of profit. Last month, Pandora played one of David Lowery's songs 1.1 million times. What royalties did Pandora pay Lowery? All of $16, according to him. Lowery, Pink Floyd, Radiohead and other artists are pulling their music from the music-streaming services, citing the "unfair" business model. Digital streaming is on the up, however, and Pandora and Spotify are raking it in at present — so we're sure they're not too worried. OLED TVs are finally here. Despite sounding oddly like Popeye's wife, OLED televisions are cutting-edge, wildly expensive models that show off pretty much the highest resolution money can buy. They're so sophisticated that the TVs have taken five years to make it to the mass market, but you can finally get one today — if you've got $15,000 lying around. 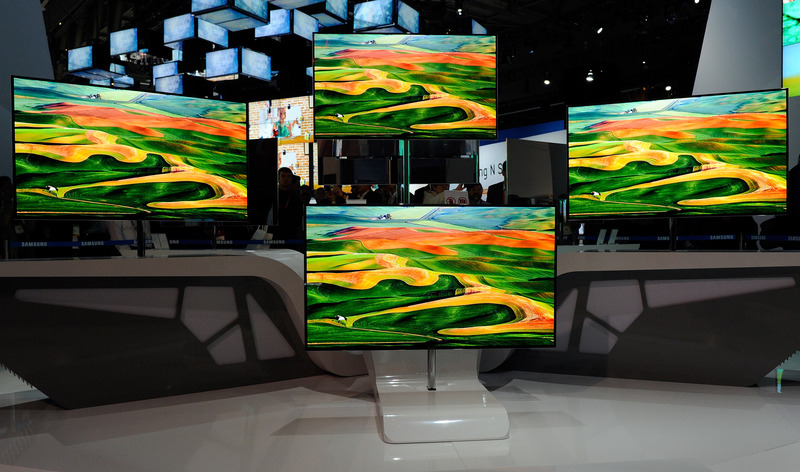 "When the lights go down," said one researcher director, "the OLED is amazing. People say, 'This is not like anything else I've seen before.'" Or you could go to the movies. For $15. But whatever.